Note: This post originally appeared 7/27/12 on my other blog. I’ve been trying to organize all my thoughts about the Batman trilogy into a post. Once I got thinking about it, there got to be a lot of thoughts. I originally thought that I’d just put it up in one massive post and you could read or not read. The trouble is that it’s taken me days and days to write and at the moment I’m just getting to The Dark Knight Rises. So I decided to post my thoughts on the Batman Trilogy in portions…if you don’t like Batman you might be a little bored here for a couple days, but maybe you should read the posts anyway because it’s a good story, even if superheroes aren’t your thing. Every iteration of a superhero is different, the comic books, animated series, and live action versions always take different spins on the same icon and often the same story arcs. Then, of course there are the re-boots of this, that, and the other. The fundamentals stay the same–superheroes and their remakes will probably never go away because they are the modern myth. They provide a vehicle for exporing all sorts of themes, philosophies, and moral connundrums in compelling ways. Every society needs heroes, needs myths, needs someone to tell stories about. Once upon a time they told stories about gods and goddesses or rediculously mighty warriors like Beowulf. Today we have a lot of mutants, a bunch of aliens, and a few geniuses with suits. 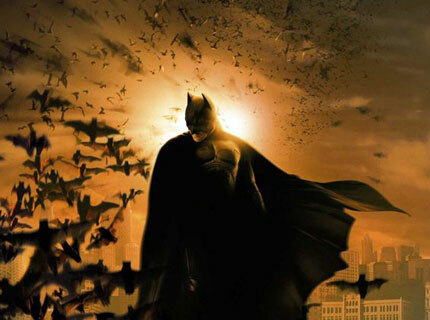 I thoroughly enjoyed Batman Begins when it came out–what, 7 years ago?–I thought the exploration of how Bruce Wayne might become Batman in a realistic world was fabulous. (I also haven’t watched the movie in a long time because my tastes shifted away from dark blurry action flicks). This excellent review of the trilogy as a whole points out how Batman, rather than battling aliens or mutants, is battling the “good guys” to save his bad city–this is both gripping and frustrating. Frustrating because it is hard to watch someone so good give up so much for something that doesn’t deserve him. Gripping because it resonates with something deep down inside–it hearkens back to the redeeming love in the greatest story ever told. I commented after seeing TDKR that I was glad that Gotham got more…save-worthy…as the movies went on. Then I thought about later and realized that while, yes, Gotham’s progression toward good was right, proper, and praiseworthy, the fact that Batman would have kept fighting for Gotham regardless was also right, proper, and praiseworthy. More so, in fact, because it was unconditional love.